Poster & Virtual Share Submissions Accepted through March 31. 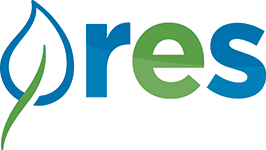 Present your poster onsite at NMEBC 2019 and/or virtually for attendees and even broader audience in the online and APP poster galleries. This is FREE to NMEBC 2019 registrants. Have a bank, project, study, or research to share that is informational and educational? (not a sales pitch) – share this virtually and/or in a Poster format at NMEBC 2019. Poster displays will be in the Exhibit area and hallways where everyone will gather for breaks, breakfast and welcome reception. Poster Display Hours: On display with Exhibits beginning at 8 a.m. on Wednesday through 11:30 a.m. on Friday. Presentation Times: Wednesday, May 8, during Welcome Reception from 5:30–7 p.m., and Thursday during morning and afternoon breaks. You may only use the Display Board provided by the Conference. There are two display sizes available – 4’x8’ poster display board or approx. 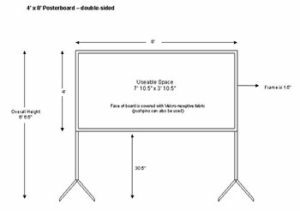 4’ x 3.5’ (half the display board) – see diagrams below. The demand and the poster presenter’s needs will determine the assigned size. Push pins will be provided as needed or you may bring and use Velcro. Submit your poster in pdf format by uploading to the site per instructions provided. Shared Poster (limit your display to 44’h x 36’’ wide). 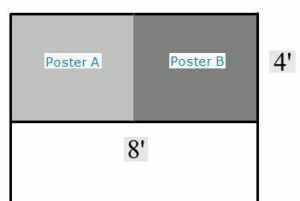 Full Poster Display – 4 x 8’ Poster board –one side available per poster.